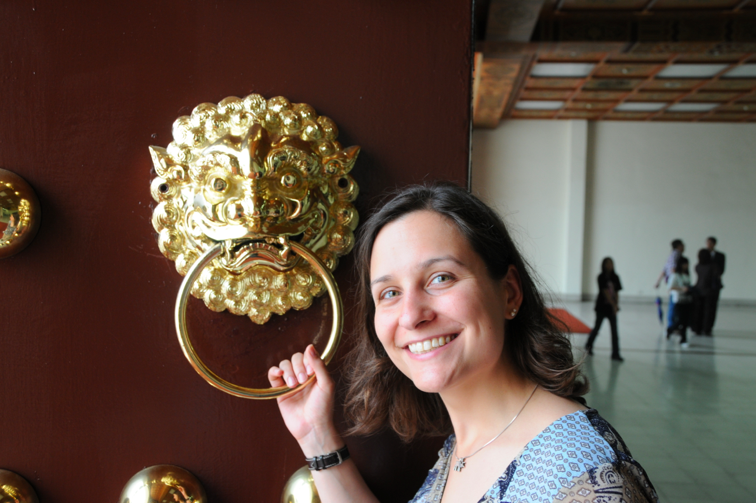 Welcome from Taipei, we are here for a long-weekend to explore what the capital of Taiwan has to offer. 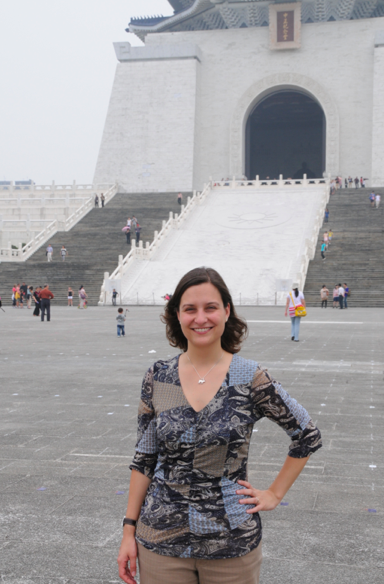 Let’s start with the Chiang Kai-Shek Memorial. The park covers a space of 24 hectares, with a wide open plaza. It is surrounded by a long white wall topped with small blue tiled roof forming a long hallway which wraps around the park. The National Concert Hall and the National Theater are in traditional Chinese style, with a white base, dark red columns, bright multicolored eves, and a furled bright yellow glass tiled roof. 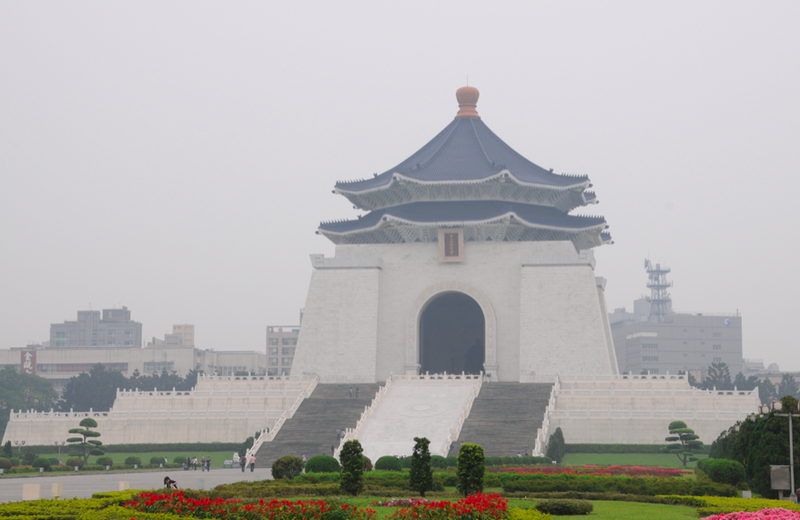 The memorial hall is a famous monument erected in memory of Chiang Kai-shek, former President of the Republic of China. 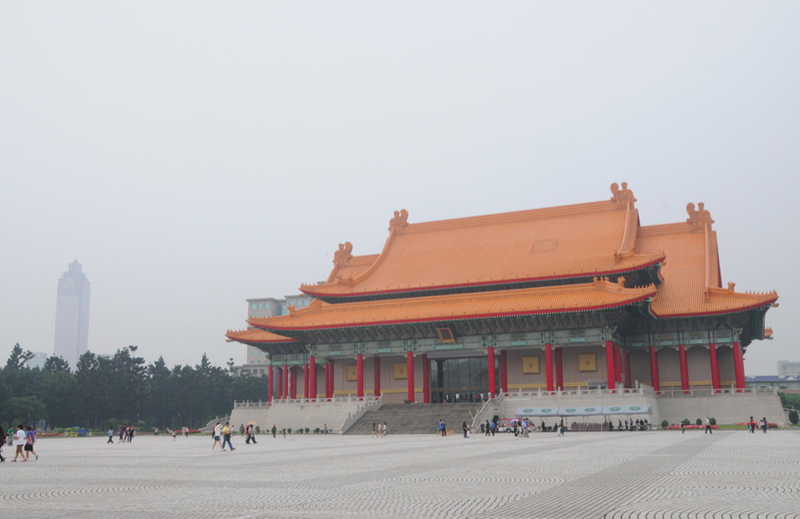 The architecture of the Chiang Kai-shek memorial itself is modelled after the pyramid-like top of Tian Tan in Beijing. 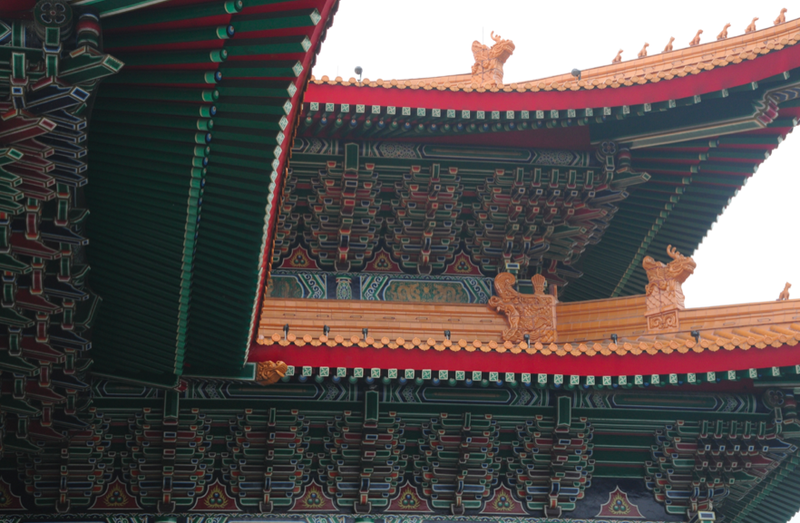 Its massive blue-tiled roof is capped with a golden peak on top, producing a majestic appearance. 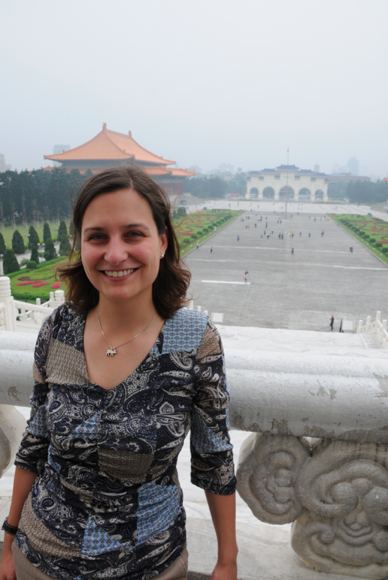 The blue and white colors of the building and the red colour of the flowerbeds echo the colours in the flag of the Republic of China. The octagonal shape picks up the symbolism of the number 8, a number traditionally associated in Asia with abundance and good fortune. 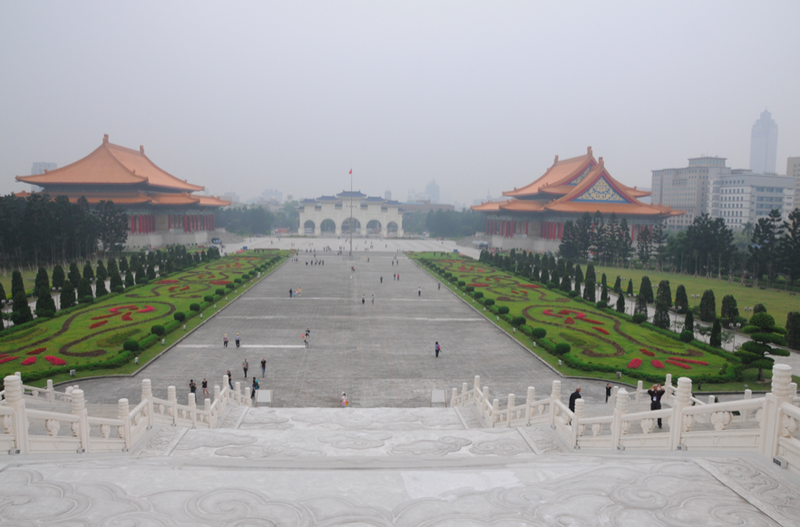 Two sets of white stairs, each with 89 steps to represent Chiang’s age at the time of his death, lead to the main entrance. The main entrance features a pair of double doors, each standing 16 meters high and weighing 75 tons, that open into the main hall. 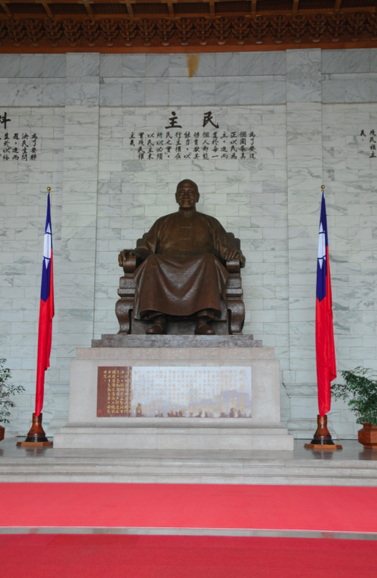 A large bronze statue of Chiang Kai-shek dominates the main hall. 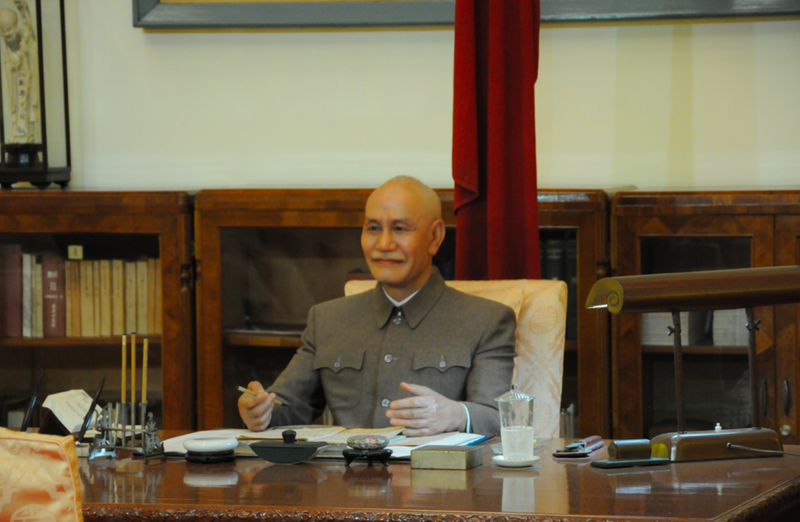 The figure is shown smiling, seated and wearing traditional Chinese dress. 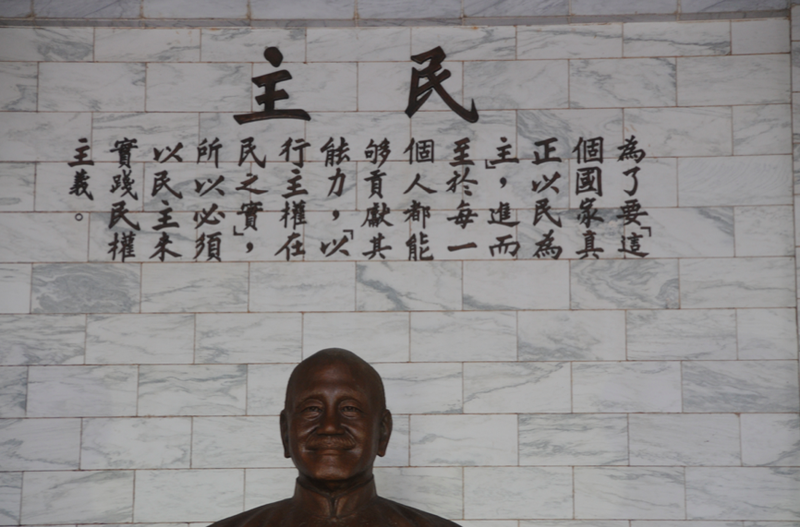 Inscribed on the wall above and behind the seated figure are the Chinese characters for Ethics, Democracy, and Science. Inscriptions on the side walls read ‘The purpose of life is to improve the general life of humanity’ and ‘The meaning of life is to create and sustain subsequent lives in the universe’. 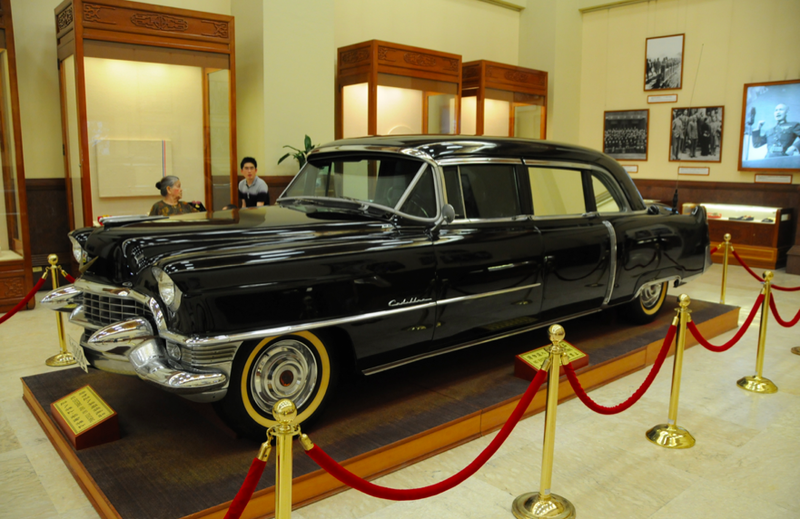 The ground level of the memorial houses a library and museum documenting Chiang Kai-shek’s life and career and exhibits related to Taiwan’s history and development. Take the Danshui-Xindian (Tamshui-Hsintien) Line or the Beitou-Nanshi Jiao (Peitou-Nanshih Chiao) Line of the Mass Rapid Transit (MRT) network, and get off at the CKS Memorial Hall Station.